There are a number of biogas digester plans and instruction for construction of biogas systems, all freely available in the Download Section. However if you don’t want to do multiple downloads… Then download the mega-compilation of biogas digester plans. This file has over 1,700 pages of pertinent information on biogas digester plans. It doesn’t contain all that is on this site, but it does contain a lot of info. If you want everything on one file, so you can search and locate information, then this is the publication for you. 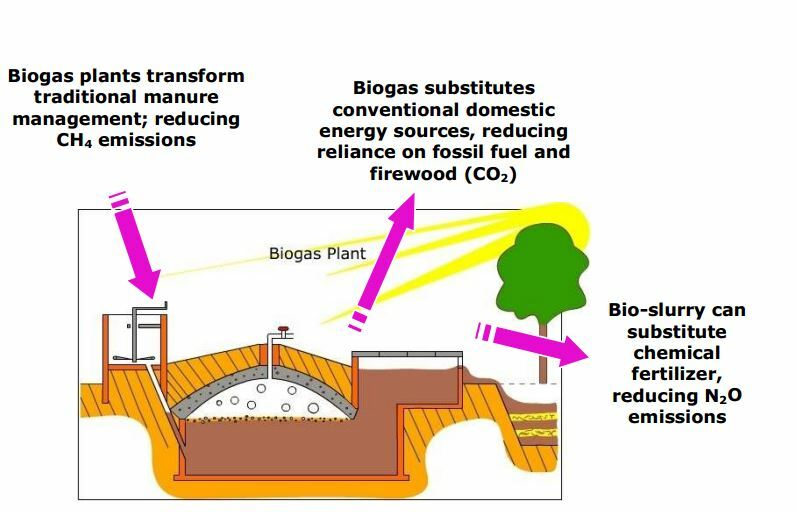 Build a Biogas Plant.com has stitched together this amazing file to create a very useful document. For instance you get information on the introduction of the low-cost, that is, less than USD $50.00 family size plastic biodigester, based on the use of tubular polythene film, which has put the technology within reach of a greater number of end users (more than 20,000 users in Vietnam are estimated to be using the technology). Subsidies are no longer needed for the purchase of the raw materials which can be found in most towns in developing countries. The simple means of biogas installation has now facilitated farmer to farmer extension of the technology. With this integration of the biodigester within the farming system we are seeing biodigestion process leading to major improvements in the value of the livestock manure as fertilizer for crops and ponds growing water plants or fish. Anyone can do this! You could build something small at home based on the Indian ARTI design… in this system a few kilos of waste will provide biogas to cook by, or light a lamp for many hours. Beware the Biogas Digester Plans download is very large.